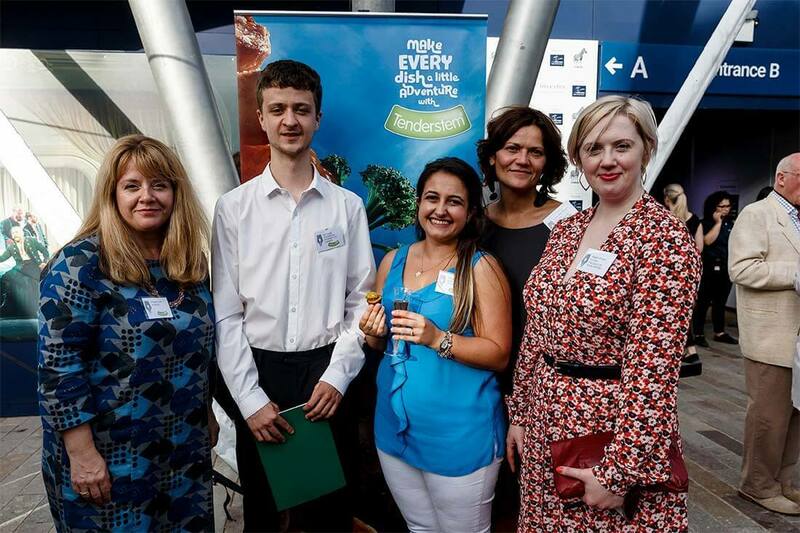 To mark Tenderstem®’s sponsorship of the Guild of Food Writers Awards, we offered two journalism graduates the opportunity to attend the awards to inspire their passion for food writing. We asked Joe Lyness, a journalism graduate from Goldsmiths who was given the chance to attend the awards, to write about his experience attending the Guild of Food Writers Awards ceremony. On Monday, June 18, the Guild of Food Writers held its annual awards evening celebrating the brightest and best in food writing and broadcasting. This year's event, which was sponsored by Tenderstem®, was held at Opera Holland House, a temporary venue which is used each summer to hold events in the heart of Holland Park. A drinks reception was held on the terrace and a sweet sparkling rosé paired well with the evening sunlight. As expected at an awards evening for food writers, the canapés were incredible, the Tenderstem® wrapped in squid and bacon stood out, the fresh crisp stem was the perfect match to the salty tender squid. The awards evening was attended by some of the most influential figures in the world of food writing alongside some exciting new talents hoping to receive their first accolade. This mixture of seasoned veterans and less experienced writers seemed to be a theme throughout the evening, and the awards showcased brilliant work from all kinds of writers. This ethos seems to be embodied by the Guild’s Write It award which is for young people under the age of eighteen. This award does an incredible job of encouraging young people to become involved in food writing from an early age. Angela Clutton, food writer, historian and co-chair of the Guild of Food Writers spoke passionately about this project describing the incredible quality of this year’s submissions that came from children as young as eight years old. It was a real honour to talk with Angela, who has a real wealth of knowledge about food writing and how to progress in the area as a professional, something which can seem daunting. However daunting it may be thinking about pursuing a career in food writing, the awards ceremony was, without doubt, the biggest inspiration you could wish for. The shortlist for every category was incredible. One of the most exciting things was the variety in categories and topics, illustrating the depth of subject matter that food writing has to offer. Iska Lupton and Anastasi Miari, whose original and inspiring blog Grand Dishes won the Food Blog Award, showed just how personal and heartfelt food writing can be. Not only does their blog provide great recipes but it uses food as a way to talk about family and experience different cultures. This year's lifetime achievement award was received by Anne Willian, a truly inspirational woman whose acceptance speech was brilliant. Having worked in top quality kitchens around the world before starting her own cookery school her experience is obvious in her fantastic writing. Described by the Guild as “the Englishwoman who taught the French to cook” Willian spoke affectionately about the multicultural kitchens she had worked in, and food’s ability to bring people together. Following the awards ceremony, there was more brilliant food and another great selection of wine. This accompanied my favourite part of the evening, the chance to discuss my love of food, and food writing, with the people responsible for creating this passion.